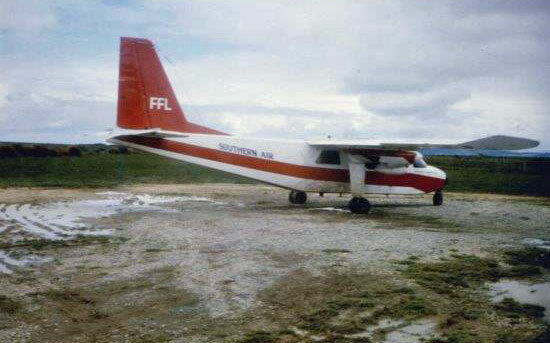 Someone wasted no time in upgrading the status of the Awarua farm airstrip in January 1984. 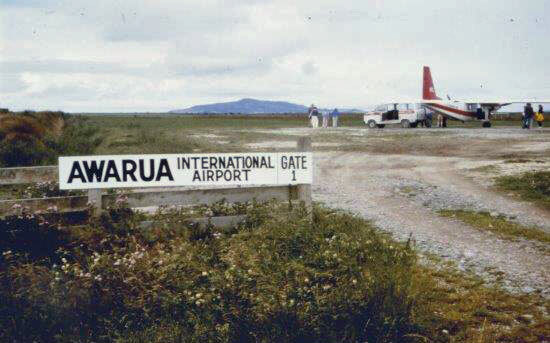 In January 1984 the Invercargill Airport was drowned by the Southland floods. As an interim measure the air service between Invercargill and Stewart Island operated from the airstrip on the Awarua Farm Settlement, i.e. 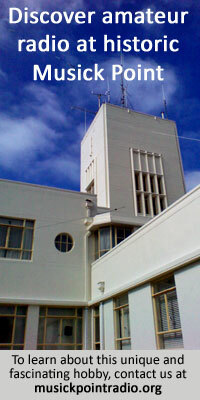 Awarua Radio Station. The airstrip was south of the original station buildings. Notice Bluff Hill in the back ground of the photo above.